This step was necessary to put Ulysses’ future development on a solid foundation. We weighed several alternatives – paid updates among them – and concluded that the subscription model, as it is available with the App Store since 2016, is best suited to meet both our customers’ needs and our needs as developers. Seelemann has published more about the decision in a post over at Medium. 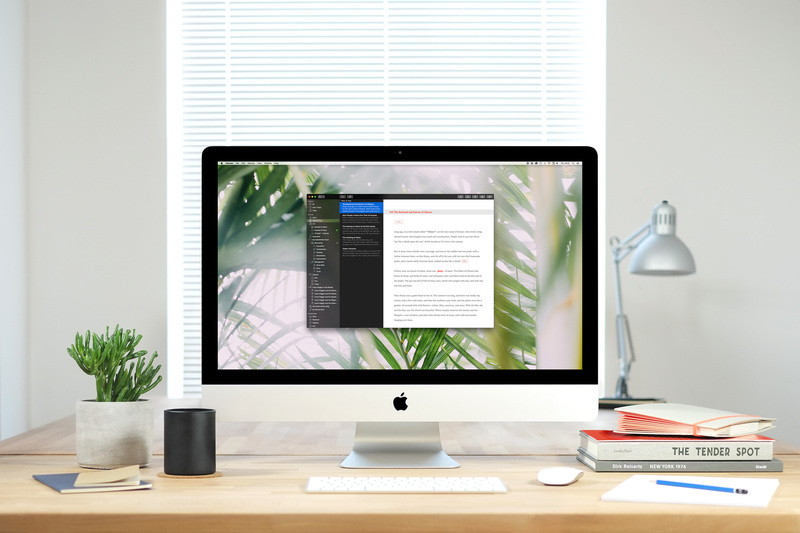 Ulysses offers a focused writing experience alongside effective document management across macOS and iOS devices. It’s long been a favorite for writers of all kinds, including bloggers. It launched for Mac in 2013, followed by iPad (2015), and iPhone (2016). New Ulysses users can now download Mac and iOS versions for free via the Mac App Store and App Store, respectively. An in-app purchase made on either platform will unlock the app’s entire list of features across all of your devices. The price is $ 4.99 for a monthly subscription or $ 39.99 for a yearly subscription. Student subscriptions are $ 10.99 per six months. Ulysses users who have already purchased the app on either platform can continue to use these versions, which have already been updated for macOS High Sierra and iOS 11. However, these versions will not be updated moving forward. New features will only be added to the subscription versions. All subscriptions come with a 14-day free trial. What are your thoughts? Will you be buying a Ulysses subscription or looking elsewhere?